As you exit Marmaris Harbour, you will find your professional, local guide waiting to take you to visit Selcuk, the ancient city of Ephesus and the charming Greek village of Sirince. 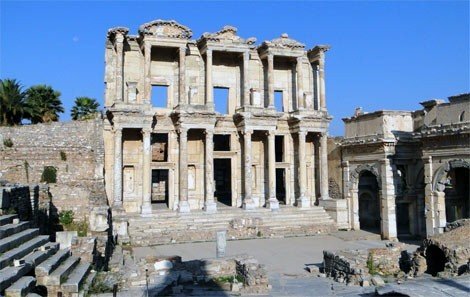 Ephesus once prospered as one of the largest Roman cities during its day, housing more than 200,000 people, and today its ruins are still in excellent condition. Accompany your guide through the Odeon and down the main marble street, visiting both the Temple of Hardian and the magnificent Library of Celsius whose two-story faÃ§ade has been meticulously restored to its former glory. 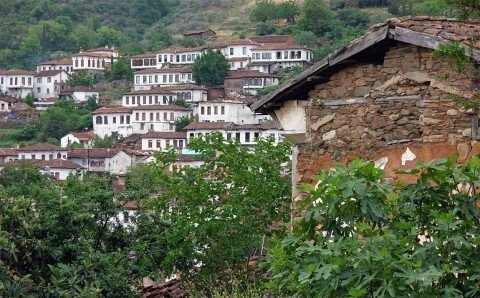 We will then travel a short way out of town to visit the small Greek Village of Sirince. While it was once dubbed Cirkince or 'ugly' by its inhabitants to deter others from coming, it is now appropriately name Sirince which translates as 'pleasant'. Its charming old houses date back to the 19th Century and its cobblestone streets are lined with markets and locals selling their homemade goods. Don't miss an opportunity to visit the Terrace Houses section of the Ancient Ruins of Ephesus. While it has an extra entrance fee of 15 USD per person, it is considered by many a highlight of the sight, offering a unique insight into the lives of the wealthy people who once lived here. "The houses of the rich Romans", its oldest building, dates back to the 1st century BC and exhibits beautiful mosaics and frescoes, as well as the famous clay pipe water and heating system. In this section there are over 100 stairs, making it unsuitable for people with physical disabilities.